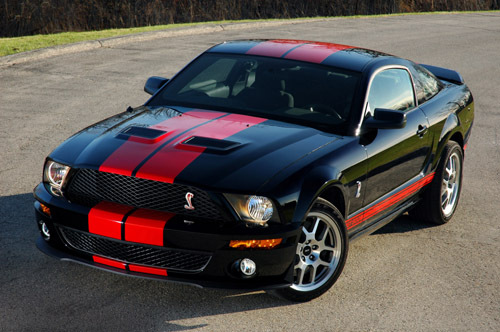 Ford introduced the Shelby GT-H version of the Mustang at the 2006 New York Auto Show. Like the original GT350H from 1966, the Shelby GT-H featured gold-on-black paint and was only available at the Hertz car rental agency. A modest power bump over the regular Mustang GT V-8 engine. Features included a 5-speed automatic transmission, and a package from Ford Racing including a 90 mm cold air intake kit, X-pipe, special performance suspension, and Ford Racing "GTA" axle-back mufflers. 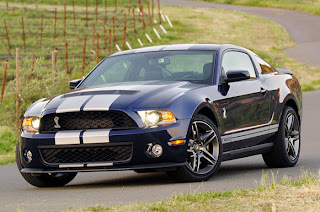 Only 500 cars were built to celebrate the 40th anniversary of the original Shelby GT350H. For 2007, a convertible version of the Shelby GT-H was offered for rental at Hertz. This time the convertibles came with a custom light bar reminiscent of the 1968 Shelby Mustang convertibles. The 4.6 liter, 281-cubic-inch, 319 hp (238 kW) Ford Shelby GT-H slots between the 300 hp (220 kW) Mustang GT and the Ford Shelby GT500. It is essentially a retail sale version of the Hertz rental-only Ford Shelby GT-H, except a manual transmission is available. 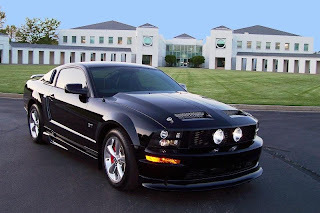 The Shelby GT-H was offered based on strong demand from enthusiasts wanting Ford and Shelby to offer a retail version of the Shelby GT-H. Other differences include the deletion of the rear spoiler, a retro Shelby hood scoop in place of the CS6/8 Shelby hood, and silver versus the gold stripes, with the car available in either white or black in 2007 and Vista Blue, Grabber Orange or Black with red stripes for 2008. The Grabber Orange Shelby GT-C (California) was sold exclusively in California and only available as a coupe (less than 220 models were produced). 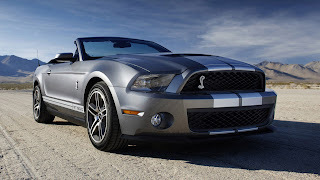 Again, the popularity of the 2007 Shelby GT-H rental car, this time the convertible, Shelby offered the 2008 Shelby GT-H as a coupe or convertible in limited numbers. Based on requests from enthusiasts for a blue Shelby GT, Vista Blue became the signature color for the 2008 Shelby GT. The Vista Blue models were available as a coupe or convertible. 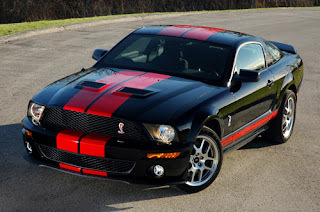 A very limited number (100) Barrett Jackson Shelby GTs were built in 2008 that were black with red stripes, also available in coupe or convertible. The Barrett Jackson Shelby GTs were sold exclusively in Arizona. 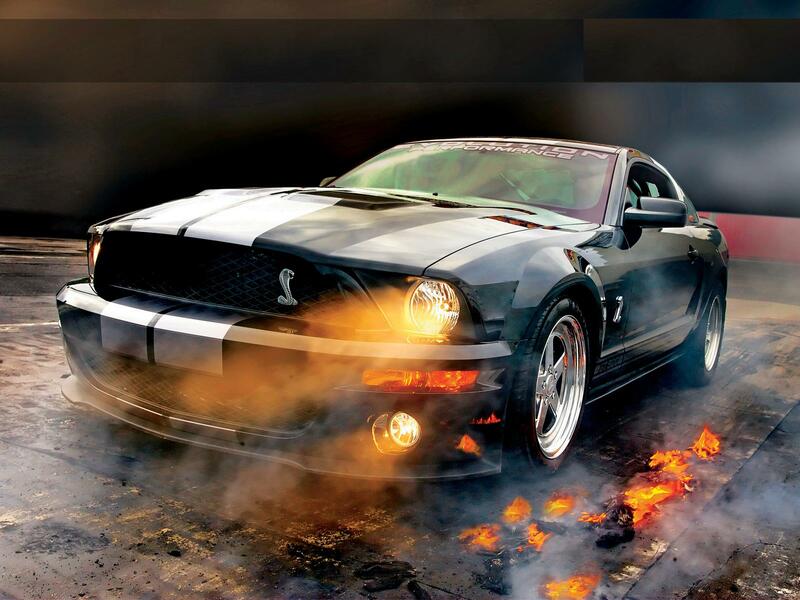 The Hertz Shelby GT-H attracted so much attention that Ford dealers and customers asked for a version of their own. 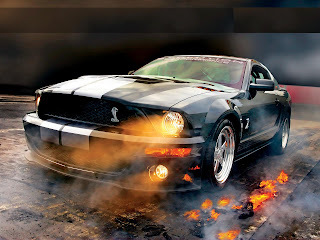 Like the Shelby GT-H, the Shelby GT is modified at Shelby Automotive's factory in Las Vegas, which distinguishes the Shelby GT-H and models from the Shelby GTGT500 in that the GT500s are produced entirely by AutoAlliance International.